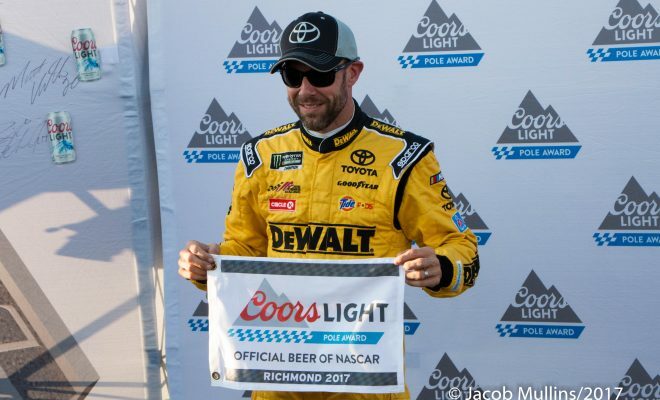 RICHMOND, Va. – After leading opening practice Friday morning, Matt Kenseth, driver of the No. 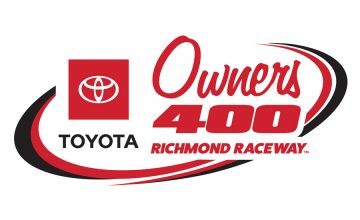 20 Joe Gibbs Racing entry, backed it up as he took the pole for the regular-season finale Federated Auto Parts 400 at Richmond Raceway. 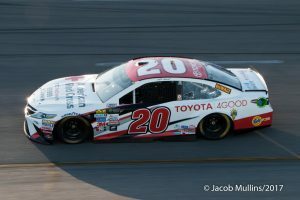 Posting the second fastest lap in the opening round, Kenseth slipped one position in the second round before rebounding and laying down a lap time of 22.055 at 122.421 MPH. This is Kenseth’s 20th pole in his Monster Energy NASCAR Cup Series career, which includes two poles this season. Rolling off second Saturday night will be Denny Hamlin, Kenseth’s JGR teammate. Hamlin’s lap of 22.081 barely outpaced Kurt Busch’s 22.083. Kyle Larson, who has been fast since the No. 42 unloaded Friday morning, will roll off fourth, followed by Martin Truex Jr.
Notables: Brad Keselowski will start 15th, Jimmie Johnson will start 20th, while Dale Earnhardt Jr. will roll off 21st. 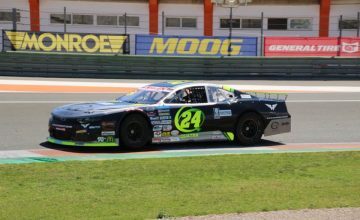 The green flag will fly Saturday at 7:30 pm.